I surf because… I feel GREAT physically, emotionally and spiritually – and it’s fun! The best wave I ever caught… was a big, fast, lefthander in Nihiwatu, Sumba – magic! The best piece of advice I received was… don’t mistake kindness for weakness. I can’t quite relax until… I’ve done some exercise and been in the water! When I was younger I dreamed about… travelling adventures. The world’s a big and interesting place. My favourite time of day is… early morning… it’s peaceful and exciting to see what the new day will bring! I surf because… The Beach seduced me into it. The best wave I ever caught… 1969. Secret spot. North Bondi rights -fast, thick, big and scary – on a ’68 Midget Farrelly single fin coolite! The best piece of advice I received was… if it is to be, it is up to me. I can’t quite relax until I… crank up some Acca/Dacca. When I was younger, I dreamed about… playing in a rock band, surfing around the world and playing to win the Stanley Cup! My favourite time of day is… anytime I see my daughter Eliza! I hate to admit it, but I secretly love… Jamie Packer. I surf because… I need stuff. You do mean the Net don’t you? The best wave I ever caught… was a Mexican wave at the World Cup. The best piece of advice I received was… Look after your children – they pick your nursing home.. I can’t quite relax until… pour that first glass of red. When I was younger, I dreamed about… being older. Now I dream about being younger. My favourite time of day is… cocktail hour. I hate to admit it, but I secretly love… traveling first-class. I surf because… there’s no better feeling that catching that perfect wave. The best wave I ever caught… was in Florianopolis in Brazil. Pulled into a tube off the right hand point break, then cruised the open face for a good 70 metres along a coast that was untainted by any human activity. The best piece of advice I ever received was… life is about experiences. Good or bad, you still learn and grow. I can’t quite relax until… I have had that 10 minutes of freedom where you’re alone in the surf and nothing can bother you. When I was younger I dreamed about… being a fighter pilot. My favourite time of the day is… early mornings. While rolling out of bed is a challenge, Maroubra never looks better than when the sun is rising. I secretly love… 8’6 softboards. Qualifications: Level 1 Surf Coach, Senior First Aid, Surf Bronze Medallion. I surf because… it’s the most fun thing I’ve ever done. When you become a real surfer it’s a very deep and almost spiritual experience. The best wave I ever caught… unfortunately can’t be shared as it was in a secret spot. The best piece of advice I received was… paddle wide of the peak. It may save your life. I can’t quite relax until… I get out of the house and do something. When I was younger, I dreamed about… being a truck driver. My favourite time of day is… sunrise in June with a nice south swell and a light westerly wind. The surf will be cranking all over the East Coast and you have the whole day to enjoy it. I hate to admit it, but I secretly love… the painter Sir Frederick Leighton. I hate 19th century English painting, but there is something seductive about Sir Frederick. Qualification Bachelor of Fine Arts, Master of Art, Level 1 Surf Coach; Bronze Medallion; First Aid Certificate Advanced Resuscitation. Apolla (OSSCA). I surf because… it makes me feel alive (and I’m totally addicted). The best wave I ever caught… was many years ago from Snapper to Kirra. My legs were so tired I could barely finish the wave! The best piece of advice I received was… do unto others as you would like them to do to you. I can’t quite relax until… I jump into the ocean. When I was younger, I dreamed about… being paid to work at the beach. My favourite time of day is… sunset. I love surfing as the sun goes down. I hate to admit it, but I secretly love… Jimmy Barnes. I surf because… it’s a part of me. I just wanna slide! The best wave I ever caught… was in Bingin Bali. I was in this filthy pit to the point of no return when it opened up and spat me out. I was screaming like a kid in a candy store! The best piece of advice I received was… always stand for old ladies on the bus. I can’t quite relax until… I’ve had a couple of sneaky peaky waves with my mates and then a chill in the sunshine. When I was younger, I dreamed about… surfing! I’m still a grom at heart. My favourite time of day is… sunset surfs. Qualification Level 1 Surf Coach, Senior First Aid, Surf Bronze Medallion. I surf because… there’s nothing better than spending time in the ocean. It’s cleansing, fun and has brought me to so many amazing places in the world. The best wave I ever caught… would be Rio Nexpa, Mexico and Lombok, Indonesia. The best piece of advice I received was… life’s too short so enjoy it to the fullest. I can’t quite relax until… have had a swim/surf and my morning coffee. When I was younger, I dreamed about… surfing! travelling the world. My favourite time of day is… early morning at the beach before the wind picks up with a coffee hanging out with my son. I hate to admit it, but I secretly love… … eating Macca’s on a road trip. It tastes so much better on the side of a highway. I surf because…it makes me smile. The best wave I ever caught… gave me a rare moment of clarity. The best piece of advice I received was… be nice to Mum. I can’t quite relax until… I have brie and beers. When I was younger, I dreamed about… a girl in an Icehouse film-clip. My favourite time of day is… when I cook dinner. I hate to admit it, but I secretly love… singing like David Bowie in the shower. I surf because…it is always good times! It’s always different; it’s fun and relaxing when it’s small, and it feels good to get your heart pounding when the surf is big. The best wave I ever caught… I scored multiple great waves in Barra De La Cruz in Mexico. Fun, fast, barrelling rights! The best piece of advice I received was…two things 1. Get legs 2. Always think of things from the other person’s perspective! I can’t quite relax until… am listening to some good tunes. When I was younger, I dreamed about…travelling the world surfing and snowboarding! My favourite time of day is… depends; at the beach, sunset – those last few waves you catch when it gets hard to spot them it’s getting so dark. At the snow first thing in the morning – stepping outside your door and your boot getting buried in fresh snow! I hate to admit it, but I secretly love… when it rains. Qualification Bachelor of Business, Level 1 Coaching Certificate, Bronze Medallion, Senior First Aid. I surf because… there is nothing better. It makes making a mistake fun. The best wave I ever caught… was in the Philippines at a place called Majestic’s. The best piece of advice I received was… don’t let go of your board. I can’t quite relax until… I get my students frothing – then I know I can get a demo! When I was younger, I dreamed about… surfing the point when it’s 10 foot. My favourite time of day is… anytime a southerly is blowing. I hate to admit it, but I secretly love… winter. I surf because… every day is better afterwards. The best wave I ever caught… was an awesome left-hander at Desert Point in Sumbawa that seemed to go on forever. The best piece of advice I received was… the more you put into something; the more you will get out of it. I can’t quite relax until I… have my morning coffee. When I was younger, I dreamed about… playing test cricket at the Sydney Cricket Ground. My favourite time of day is … 6pm down at Bondi; either catching some late waves, or in the Rats for the Ode. I hate to admit it, but I secretly love… Manly beach! Qualifications: Bachelor of Commerce, Bachelor of Arts, Diploma of Education, Level 1 Surf Coach, Senior First Aid, Surf Bronze Medallion, Advanced Resuscitation, Level 1 Cricket and Soccer Coach. I surf because… I don’t get nagged in the water. The best wave I ever caught… was my first. I didn’t even break but I stood up and glided all the way to shore. The best piece of advice I received was… Be good to your mother. I can’t quite relax until I…Done the dishes after dinner. My favourite time of day is… Bed time. I hate to admit it, but I secretly love… Happy feet – the movie. The best wave I ever caught… was at North Bondi pits of doom during ‘the summer of love 1999’. The best piece of advice I received was… that waves on reefs move very fast – be careful. I can’t quite relax until I…have surfed for 3 hours. When I was younger, I dreamed about … living by the beach. My favourite time of day is… 10am. I hate to admit it, but I secretly love… Big Wave Dave. I surf because… I love the ocean and being out in nature. Getting out in the water with a group of mates and having a blast is unbeatable! The best wave I ever caught… my 1st memory of surfing was being pushed onto a perfect little right hander up at Snapper by my Dad when I was a little grom. Best wave ever! The best piece of advice I received was… do what you love, love what you do. I can’t quite relax until I… have ticked the last thing off the list. When I was younger, I dreamed about… pools full of lollies instead of colour full balls, and you can dive into them and swim around. My favourite time of day is… dawn – especially if you are in the water. I hate to admit it, but I secretly love..it’s no secret, dill pickles. I love them. Seriously. Little bits of green, salty joy. Qualifications: Bachelor of Design, Wilderness First Responder, Advanced Resuscitation, Level 1 Surf Coach, Senior First Aid, Surf Bronze Medallion. I surf because… there’s no other place I’d rather be. The best wave I ever caught… first day of 2010 in Tahiti. The first barrel of an excellent year! The best piece of advice I received was… believe in yourself. I can’t quite relax until… I’ve never not relaxed. When I was younger, I dreamed about… surfing on another planet. My favourite time of day is… breakfast. I hate to admit it, but I secretly love… vodka cruisers. I surf because… it’s the best feeling in the world and the only thing that can occupy me 7 days a week, 365 days a year. The best wave I ever caught… was in Chile. There was a dead seal in the water with me and the board hire guy tried to steal my bag, but the surf was awesome: all left-handers, and it was my first time in the water in 3.5 months. The best piece of advice I received was… live for the moment. I can’t quite relax until I… eat half a block of chocolate and spend some quality time with the TV. When I was younger, I dreamed about… being Thomas The Tank Engine. My favourite time of day is… dawn because nothing beats being at the beach for the sunrise. I hate to admit it, but I secretly love… rubbing tanning oil on some of my work colleagues. I surf because… every wave is unique. The best wave I ever caught… was with my Dad at Noosa Head Point when I was a grom. I surfed until I literally couldn’t paddle anymore and Dad had to tow me back in. The best piece of advice I received was… worry does not solve tomorrow but it takes away today’s strengths. I can’t quite relax until… I’ve had a good feed. When I was younger, I dreamed about… being older. My favourite time of day is… early morning before the sun comes up. I hate to admit it, but I secretly love… a longneck in a brown paper bag. I surf because… I’d be fat and unhealthy without it. The best wave I ever caught… they usually catch me! The best piece of advice I received was … look to both sides before you cross the road. I can’t quite relax until I… have my beauty sleep. When I was younger, I dreamed about… snowboarding. My favourite time of day is… around 9am – after the early-birds, but before the sleep-ins. I hate to admit it, but I secretly love… life. Qualifications: Level 1 Snowboard instructor, Master of Architecture, Bachelor of Architecture, Level 1 Surf Coach, Senior First Aid, Surf Bronze Medallion. I surf because…I grew up in Bondi so it was only natural that I started surfing. It’s also the most incredible thing – nothing compares. ‘Only a surfer knows the feeling’….right? The best wave I ever caught… I’m still searching. The best piece of advice I received was … pick up the dog poo before using the grass cutter. I can’t quite relax until I… pick up the dog poo – and then hit the Bondi Hotel. When I was younger, I dreamed about … surfing my way around the world, following the endless summer. My favourite time of day is … late afternoon for a surf, BBQ, and beers. I hate to admit it, but I secretly love… Neil Diamond. 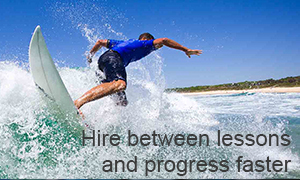 Qualifications: Bachelor of Business (Major in Finance), Level 1 Surf Coach, Senior First Aid, Surf Bronze Medallion. I surf because… I hate running and I can’t catch. The best wave I ever caught… was probably last winter at Eloura with just me and one other guy out. I can’t quite relax until I… am in my pyjamas. When I was younger, I dreamed about … green unicorns in ponchos. I used to eat a lot of cheese. My favourite time of day is … bedtime. I hate to admit it, but I secretly love… shortboards. I surf because… It’s always a challenge. The best wave I ever caught… was at the Pass – Byron Bay. Sun was shinning, dolphins were splashing and the waves were rolling. I can’t quite relax until I… I’m listening to Reggae Music, and doing the dance to go with it. When I was younger, I dreamed about… playing goalkeeper for Australia. My favourite time of day is… when food is on the table. I surf because… the ocean is free of all worries and troubles on land. The best wave I ever caught… was on my first trip to Bali. Got barreled across the whole reef at 4-6fy Padang Padang. There were many best waves that day ! The best piece of advice I received was … living is better than surviving. I can’t quite relax until I… I’m surfed out and kicking back with a few mates. When I was younger, I dreamed about… traveling the world. My favourite time of day is… when I’m out in the water catching good waves. I hate to admit it, but I secretly love… sleeping in.